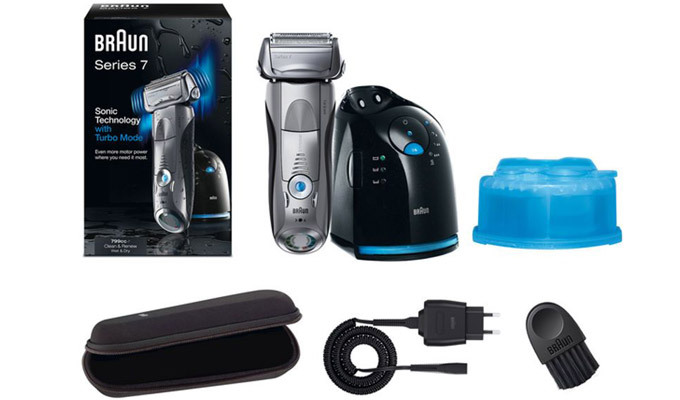 Braun Series 7 is among the latest range of shavers belonging to the German producer. It disposes of a special series of equipment in which are incorporated some of the most advanced technologies, being therefore suitable for beginners, as well as for experienced users. 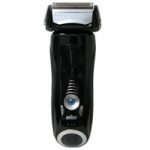 The shavers of this range are suitable for shaving but also for shortening the hair. 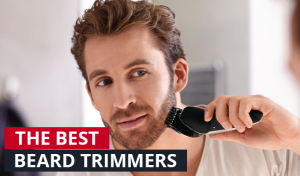 They represent the right choice for those who have a significant budget and are willing to invest a considerable amount of money in a qualitative shaver. Series 7 of Braun is characterized by efficiency and comfort of use and disposes of multiple endowments and advanced technologies, as it is presented by the producer himself. Thanks to the Intelligent Sonic technology, the shavers have the ability to adjust their power automatically. This adjustment takes place depending on the density of the beard. A comfortable and efficient shave is determined by more than 10.000 micro-vibrations emitted with every touch. All the electric shavers of this range dispose of 3 shaving models : intensive, normal and sensitive. These models adjust according to the particular preferences of every user. 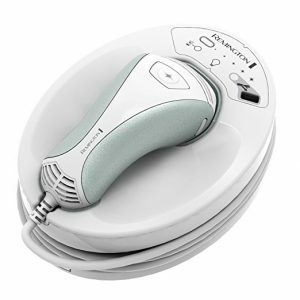 Braun specialists have identified the main issue when it comes to neck-shaving : reclined hairs. 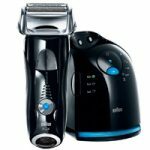 Therefore, Braun Series 7 introduces the patented ActiveLift system, with the aid of whom the hairs from problematic areas are lifted before being shaved. 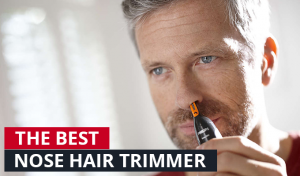 The trimmer placed between the two foils works with 130 movements per second, for high performances of use. The foils are enhanced for a cut closer to the skin, whose results last longer. OptiFoil is the most advanced foil from the Braun series, whose structure enables a more efficient cut. The pivoting head facilitates the cut of the hair, having the ability to adapt to the line of the face. The „Clean and Renew” system charges, cleans and lubricates the shaver in order to keep it in perfect condition. The shavers of this range are equipped with the Clean&Renew Station which we can also find in the inferior series, such as Series 5 or Serie 3. This station lubricates, charges and enables the selection of the working programme and dries the freshly cleaned device after every use. It also enables an hygienic use, whereas the cleaning is made with the aid of an alcohol-based solution. According to the producer, the solution eliminates more than 99.9% of the germs and microbes during every cleaning. So, an optimum cleaning determines a clean shave. One disadvantage of this cleaning station is the necessity of periodically replacing the substance needed for this process, fact that implies some preservation costs. Braun Series 7 disposes of rechargeable batteries with Li-Ion technology, without memory effect. They can function with or without cable. A full recharge is made in an hour and this enables a continuum wireless use of 50 minutes – an improved time, compared to the previous series. Also, the devices can be used in safe conditions all over around the world, thanks to the SmartPlug automatic voltage regulator. The German producer’s range is composed of 5 performant shavers : 720s-7, 740s-7 Wet&Dry, 760cc-4 and 799cc-7 Wet&Dry. These devices differ through the equipments and the endowments that they have. All the products of this range dispose of three working modes and of the Intelligent Sonic technology – aspects previously analyzed in detail. They have pivoting heads and the blades adjust according to the shape of the face. The differences begin with the fact that model 799cc-7 Wet&Dry features a premium leather pouch, accessory that is missing from the other models of the range, which feature instead a protection, travel-sized bag. Also, the Clean&Renew system can be seen only at two shavers from Series 7, respectively model 760cc-4 and 799cc-7 Wet&Dry. Regarding the display, we can again observe that model 799cc-7 Wet&Dry is equipped with an LCD display, while the other models have normal LED displays. So these are the only differences between the four models of Series 7. The users declare themselves content about the compact and ergonomic shape equipped with rubber which prevents slipping and facilitates the handling of the devices. Also, Braun Series 7 are suitable for people with a sensitive skin, oferring an efficient shave without any irritation on the skin. Most of the clients declared themselves satisfied of the speed of functioning and about the lack of the risk to cut themselves. Moreover, shavers of Series 7 are much more silent than those belonging to the inferior ranges. Another advantage is the cleaning station with automatic drying function, endowment that the models of the previous range do not have. 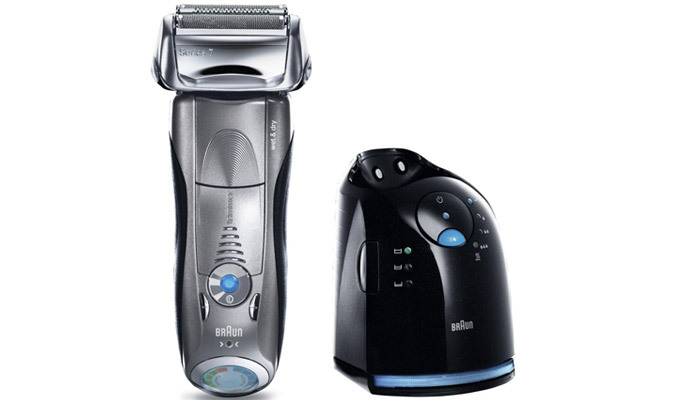 Also, users recommend Braun devices from Series 7 not only for shaving, but also for cutting and caring of the beard. This thing was proved to be efficient for those areas where hairs are messy or sticked to the skin. The performance offered and the incorporated technologies, though, come along with a quite high price, aspect that determines some consumers to turn to the inferior ranges like Braun Series 5. Also, they find the auto-cleaning station to be dispensable and the accessory for transport, inefficient, because it does not have enough space for the charger too. More than this, the charger is big enough to be disturbing for some users. Are the Braun Series 7 Devices Suitable for You? 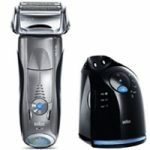 Braun Series 7 electric shavers are among the best Braun electric shavers and represent an optimum choice if you have a sensitive complexion and you are willing to invest a considerable amount of money in a shaver which will protect it. 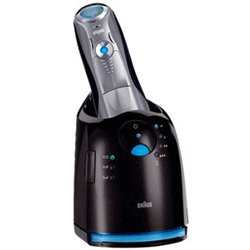 According to the users, the performances are superior to the previous range, Braun Series 5. Also, Braun Series 7 range is suitable for those who find the hygiene of the device extremely important, opting therefore for a model that disposes of the cleaning station. 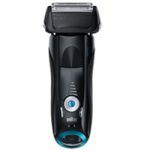 The biggest number of positive reviews from the users is received by Braun 799cc-7 Wet&Dry, which enables a dry and a wet utilisation as well, disposes of a cleaning and charging system and stands out through excellent results in terms of shaving. If you had the chance to try any of Series 7 device’s way of working until now, please let us know about your experience in the comment section below.